May Friendship Day, a Church Women United initiative, is most often celebrated on the first Friday of the month of May around a theme of shared concern for Christian women and their communities. The predecessor to May Friendship Day, May Fellowship Day, began in 1933 after two Christian women’s groups planned gatherings based on similar concerns: child health and children of migrant families. These groups united and over the years eventually became what we now know as Church Women United. The May celebration has been continually observed since 1933; in 1999, Church Women United changed the name from May Fellowship Day to May Friendship Day. For 2019 Church Women United celebrations — including World Community Day and May Friendship Day — share the theme “The Time Is Now.” The focus for May Friendship Day is “The Time Is Now: Agree to Differ.” In a world of suffering, the time is now for us to serve as the hands and feet of Christ, no matter our differences. 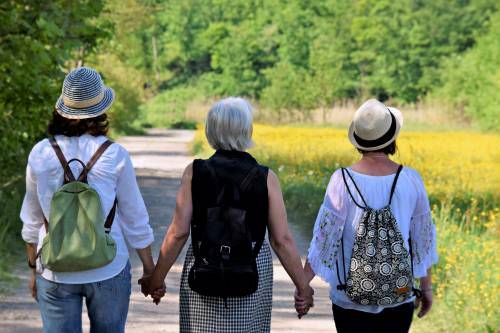 Christian women’s groups from many denominations (including Presbyterian Women, which encourages participation in and support of Church Women United) will host May Friendship Day services throughout the United States during the first days of May. God, in a world of suffering, we respond to your call for mercy. Guide us as we advocate, nurture, support and serve “for just such a time as this” (Esther 4:14). Amen.